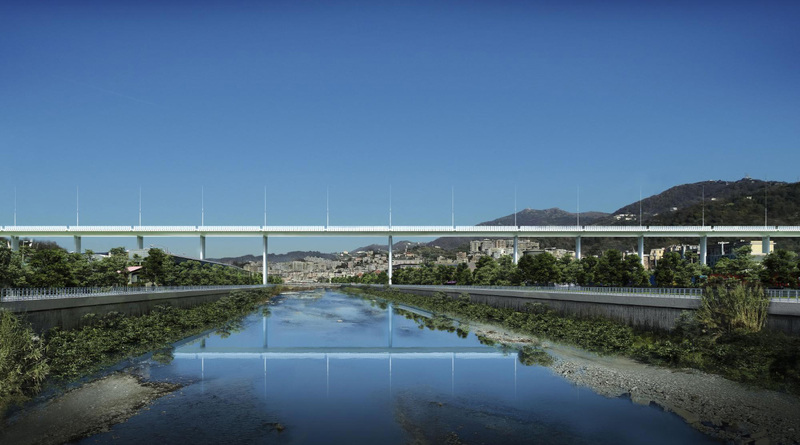 The Italian government has sped up plans to rebuild the Morandi Bridge that collapsed in Genoa this August, and taken up the Genoa-born Renzo Piano on his offer to design the replacement for free. Salini Impregilo, the country’s largest contractor, and Fincantieri, a state-run shipbuilding company, have been chosen to build the new bridge and will be forming a new conglomerate, “PERGENOVA” to do so. During a heavy storm on August 14, the concrete-and-cable-stay Morandi Bridge was hit by lightning and collapsed, killing 43 and injuring dozens more. The bridge originally opened in 1967 to span the Polcevera Viaduct and connected the coastal area with Genoa’s port. 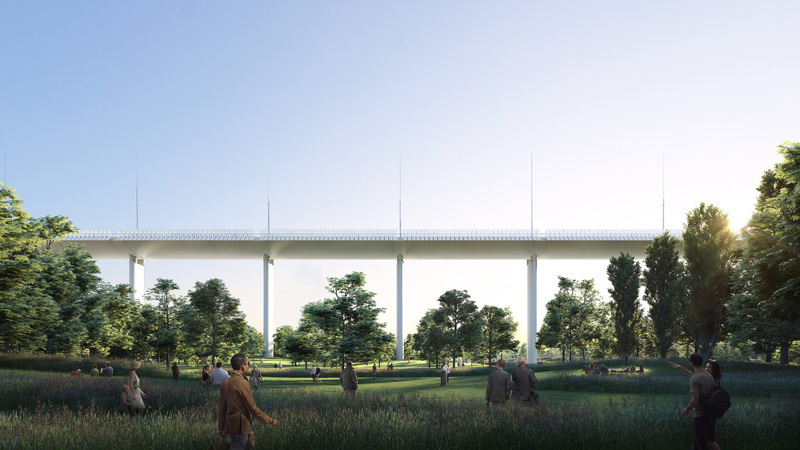 The Renzo Piano Building Workshop leaned heavily on steel for the replacement bridge, and Piano claimed in September that, “This will last for a thousand years and will be built of steel,” and would “have elements of a boat because that is something from Genoa.” The final design seems to bear that out. 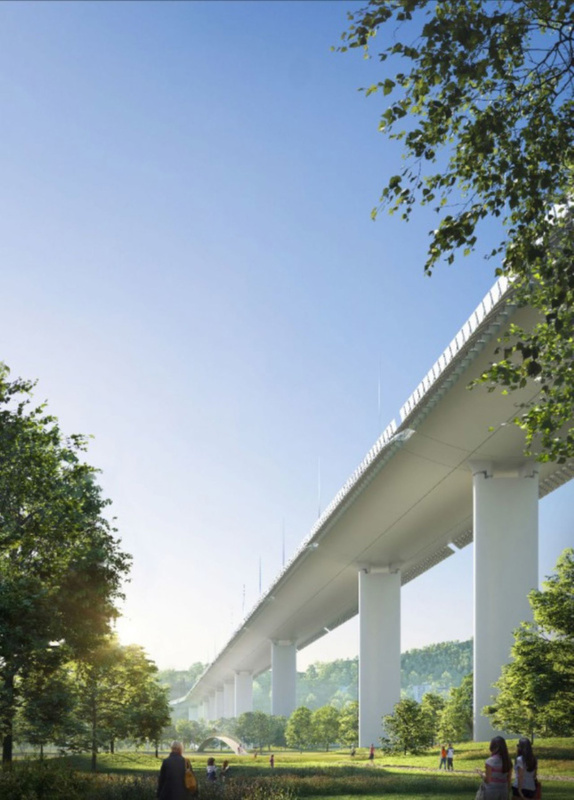 A 3,600-foot-long main steel deck will run across 20 spans, supported by 19 concrete piers. For the most part, the piers will be spaced out in 164-foot increments, except for a pair that has been placed 328 feet apart on either side of the Polcevera River. 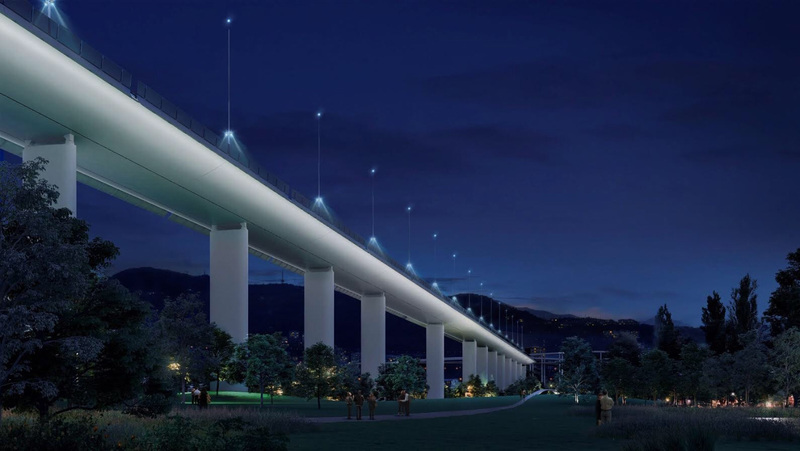 The bridge will literally be a shining beacon, as it’s expected to reflect sunlight during the day and use stored solar energy to power its lights at night. Fincantieri will be building the structure’s steel elements at its Genoa-Sestri Ponente shipyard and may spread the work to its other shipyards if necessary. The steel deck will be assembled in parts and welded together on-site to reduce costs and speed up construction. The project is estimated to cost $229 million, and construction is expected to take 12 months once the site is cleared.